In today's blog we take a look at the average price of 700g white bread per province in South Africa over various time periods. The data was kindly supplied to us by Statistics South Africa. From the graphic above one can see that the Eastern Cape had the lowest average bread price in 2010, and for the first few months of 2018, While the Eastern Cape has the lowest average price for 700g white bread as measured by Statistics South Africa, Consumer Price Index (CPI), Gauteng had the highest average bread price in 2010 and currently has the highest average bread price for the first few months of 2018. 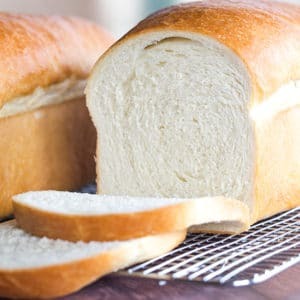 The difference between the lowest average price paid for bread and the highest average price paid for bread is, R1.86 a loaf that Gauteng consumers pay more for a 700g white bread compared to consumers in the Eastern Cape. That is a 15.97% difference in the average price paid for 700g white bread between Eastern Capers and Gautengers. So now that we know what the average price per 700g white bread price per province is, just how do these average white bread prices per province move over the course of the year? Do they follow similar trends? Or do retailers place greater price increases on white bread in particular provinces over time? The graph below shows the year on year percentage change in the average price of 700g white bread per province from 2016. Based on the graphic above it is clear that the price movement in the average price of white bread is very similar across all the provinces are very similar with the trend of the various provinces following each other closely. Interesting to note is the fact that the price movement in the average price of white bread in the Northern Cape has been substantially higher than that of the other provinces. And this can be seen in the first graphic too, where the Northern Cape had that 2nd lowest average price of white bread in 2010, but by 2018 it has the 4th most expensive white bread prices in South Africa. A fascinating topic, the price setting behaviour of retailers across various provinces, and we will take a more detailed look at this in coming weeks.